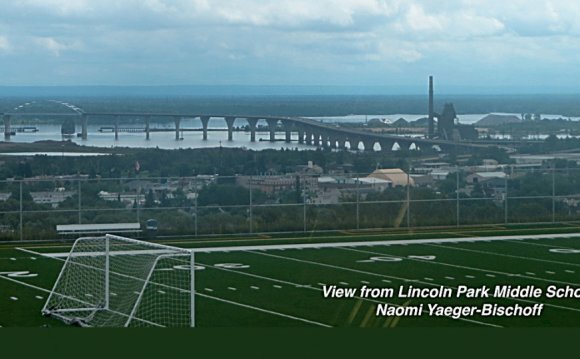 Lake Superior College has named Jeff Lightfoot head coach of both Lake Superior College men’s and women’s soccer programs. He’ll assume head coaching and recruiting duties immediately. This is Lightfoot’s first foray into coaching collegiate soccer. He nearly 30 years coaching experience at the youth and high school levels, most recently serving as head boys soccer coach at Grand Rapids High School since 2004. He served as Grand Rapids High School girls soccer head coach from 1997-2001. This is also the first time Lightfoot has coached both program’s men’s and women’s soccer teams, a challenge he says he’s both ready for and excited to accept. “First of all, I’m thrilled to be part of shaping a new collegiate soccer program, and LSC is a great place for it, ” said Lightfoot. “Second, being both men’s and women’s head coach will allow for consistent coaching, recruiting and management styles between programs. For a new program, keeping everybody on the same page should help the program become firmly established. 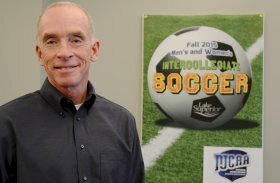 Common practice in Division 3 collegiate soccer is for the men’s and women’s teams to play games back-to-back; thus the ability for Lightfoot to coach both teams. Assistants coaches for each team will be hired in the near future. Since 2006, Lightfoot has also been a Minnesota Youth Soccer Association Olympic Development Staff Coach and state coaching instructor. With the Olympic Development Program, he coaches, trains and develops player from varying age groups from which a National Team will be selected for international competition. LSC is an official member of the National Junior College Athletic Association (NJCAA), and both men’s and women’s teams anticipate playing a schedule of 16-18 games beginning Spring semester 2015. Home field locations will be located off campus, with exact locations still being determined.